A set of GREAT speaker stands PLUS a free bag!.. Tripod Speaker Stands support up to 100 lbs each. 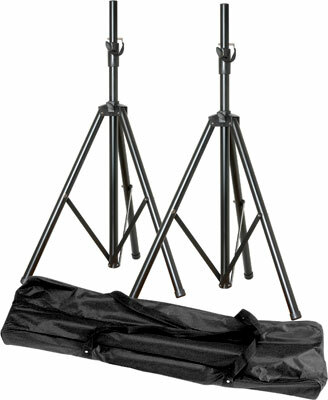 In addition to the two sturdy speaker stands, this bundle also comes with a free bag that can transport your stands safely and keep them looking like new.